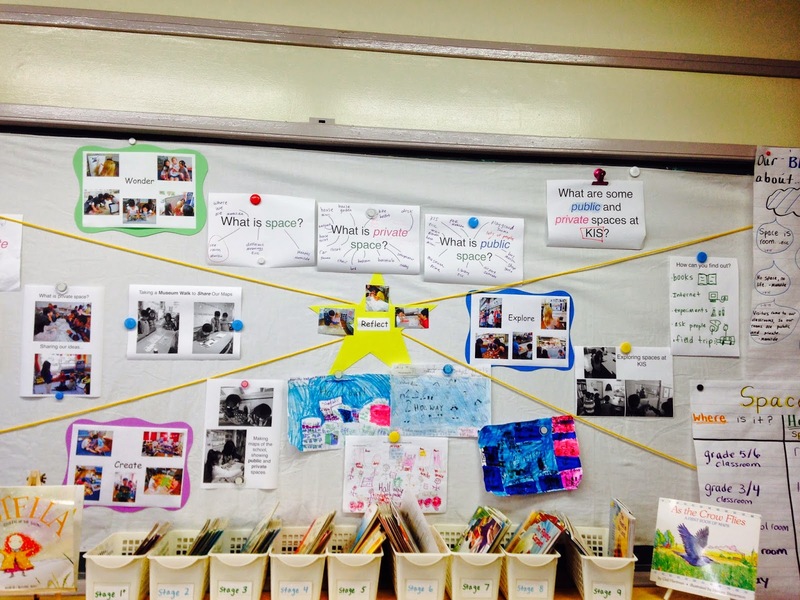 Our students are actively using inquiry cycles, reflecting on what it means to inquire. Each year uses a different model (that may vary from unit to unit). We are focusing on making it Visible. Students are encouraged to reflect on and consider the process. What is the difference between Wonder and Explore? Why is Reflect in the middle? What do you think we are doing right now? What makes you say that? We have simplified the cycle. There is no order, no flow, no directionality. 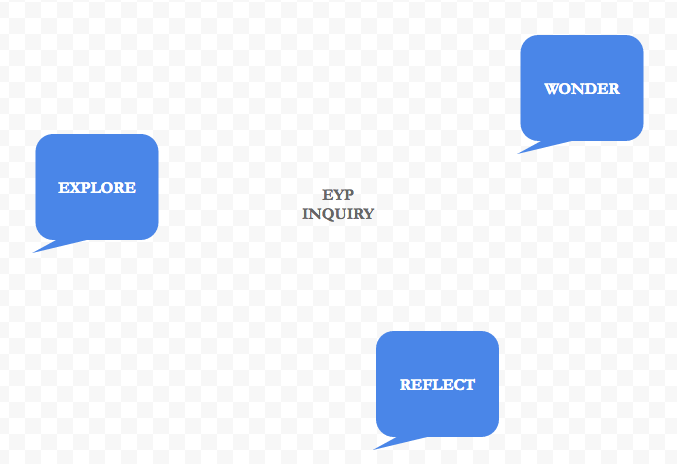 Inquiry is not simple and does not happen at the same time, in the same way. We have found the model needs to be simple in order to investigate the complexity. In EYP, our youngest students, the cycle is even more simplified. Inquiries may take weeks. Or months. Or a whole day. Or they may be over in a matter of minutes (or even less!). Our job is to look for those inquiries, document them, encourage discourse, and then allow fresh ones to arise.